Some might say Acton has it all—natural beauty, good commuting options, good shopping and great schools. These are all reasons why CNNMoney voted Acton #16 in its Best Places to Live in 2011 and 2009. In spite of tripling its population over the past 30 years, the town still retains a rural, welcoming character, and it’s only 25 miles from Boston. Like its neighbors, Acton is New England postcard perfect and wears its history proudly with monuments to its American Revolutionary roots and beautiful historic homes. Acton shows many faces, and there’s quite a diversity of housing here–from areas with pre-revolutionary antiques and farmhouses to gingerbread Victorian painted ladies, classic mid-century neighborhoods and several Planned Urban Developments (PUDs). With one of the best school districts in the state, Acton has been a magnet for families for years and offers a great stock of affordably-priced single family homes, as well as many condo options. The town is loosely divided into villages that all look and feel a little different. 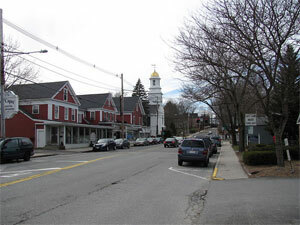 Acton Center is the historic and geographic center of town where you’ll the town hall, the main library, a large playground, the town green, a host of historic homes, as well as the Acton Arboretum. West Acton has an adorably villagey feel with restaurants and coffee shops, small businesses, including a pharmacy and a day spa. South Acton is home to the town’s commuter rail station on the MBTA’s Fitchburg to North Station line. In the 18th century, this area held many mills and other small industrial developments that are being transformed into housing and commercial space. North Acton has the most commercial activity in town with lots of condo communities and shopping, including national retailers like Trader Joe’s, Staples, Eastern Mountain Sports, Talbots, Ann Taylor Loft and Pier One. Acton has two school districts: Acton Public Schools (K-5) and Acton-Boxborough Regional School District (6-12), a partnership with the small town of Boxborough to the west. 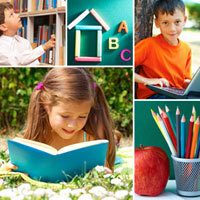 Acton Public Schools has five elementary schools including an integrated preschool program. The town currently offers school choice, and each of the elementary schools has a different teaching philosophy. Parents of kindergarteners rank their school preferences and placement is decided by a lottery system. The district provides bus transportation to all the schools from each neighborhood. R.J. Grey Junior High School, and Acton-Boxborough Regional High School are part of the Acton-Boxborough Regional School District, and they share a campus close to Acton Center with McCarthy-Towne and Merriam Elementary Schools. Acton takes pride in its continued exceptional school system. The A-B District ranked 16th of 135 regional districts in Boston Magazine’s “Best Public Schools for 2011,” and ABRHS was named a Blue Ribbon School by the U.S. Department of Education in 2009. Like neighboring Concord and Sudbury, Acton is also fortunate to be a part of the Minuteman Regional Vocational Technical School jurisdiction, which includes 16 Metrowest communities. This four-year public high school offers rigorous academics with relevant career and technical programs. One hundred percent of its 2010 graduates passed the Massachusetts Comprehensive Assessment System (MCAS) requirements, and 25% of those graduates earned scholarships for their outstanding MCAS scores. About five miles from I-495 and ten miles from I-95/Route 128, Acton is crisscrossed by Routes 2, 2A, 27, 62, 111 and 119. The train from South Acton goes into Porter Square in Cambridge and terminates at Boston’s North Station. Yankee Lines provides a commuter bus service to Copley Square in Boston. Acton caters for a variety of sports with specific areas for baseball, softball, soccer and field hockey, as well as basketball and tennis courts at several locations and multiple playgrounds. For hiking and bird watching, there are more than 1650 acres of town conservation land throughout town, including the Arboretum in Acton center. The North Acton Recreation Area (NARA Park) is THE place for kids to be in the summer. NARA Park has a swimming pond, bath houses, a snack bar, an open air auditorium, playing fields, and hiking trails. It’s also home to Nara Camp, the Acton Recreation Department’s 10-session summer program for kids 4-14, offering arts and crafts, nature, boating, music, drama, sports activities, group challenges, swimming, optional field trips and more. NARA keeps things hopping with outdoor summer concerts, 4th of July fireworks, and movies under the stars. And just so the locals don’t take themselves too seriously, most don’t miss February’s Winter Carnival with highlights like the human dog sled race, the cardboard sled race and a chili cook off. For kids, check out the Gymnastic Academy of Boston and junior tennis camps and clinics at the Marcus Lewis Tennis Center and AllSeasons Tennis Club. Teamworks offers clinics and league play for kids and adults in soccer, field hockey and lacrosse. Tennis is also part of the program, along with swimming and a state-of-the-art fitness center at Quail Ridge, Acton’s private 18-hole golf course. You can opt for an annual membership or social, swimming, junior and fitness-only memberships, too. Acton has more than 60 restaurants across a great selection of cuisines and price ranges. Il Forno’s wood-fired brick oven and Northern Italian menu have made this small family-owned chain a huge hit since it opened several years ago. Bella Famiglia moves you down the Mediterranean for classic Southern Italian food, a piano bar and ultra-thin crust North End pizza. Try Sprigs for an intimate fine-dining experience favoring, but not exclusive to, European cuisine. Just down the street Le Lyonnais has been serving traditional French dishes for forty years. For more casual fare there’s Daniela’s Mexican Bar and Grille, The Local Table serving breakfast and lunch and dinner on weekends, Not Your Average Joe’s with a contemporary American menu (its great bar is always bustling, and this place fills up fast! ), Benjarong for Thai or Monsoon for Indian food. Oh, and Acton has pizza–lots and lots and lots of pizza. Thin-crust, deep dish, Italian or Greek style, you’re going to find pie you love among the towns many options. What would a great town be without great coffee? Of course it’s home to Starbuck’s and Dunkin’s, but some of Acton’s best coffee and pastries can be found at Sweet Bites Gourmet Bakery & Café, where you can sip in the cozy wood-beamed dining room surrounded by paintings by local artists. The Café in Willow Book Store is another don’t-miss spot for caffeine refueling and browsing their great reading selection at the same time. You name, you can buy it Acton–anything from vacuum cleaners to cars, flooring to bicycles and antiques. As we said earlier, it’s home to chains like Eastern Mountain Sports, and Pier One. Women’s clothing options are comprehensive with Chico’s Talbots, Ann Taylor Loft and J.Jill on the national side and boutiques like Cambridgewear, locally-sourced casual clothes stressing comfort and style. Stock up at one of Acton’s four supermarkets: Trader Joe’s, Stop & Shop in S. Acton, Donelan’s (which also sells wine and beer) and Roche Bros., one of eastern Massachusetts’ favorite chains–loved for its great produce and huge prepared and gourmet food sections. For medical needs, Emerson Hospital in Concord is only minutes away. You’ll find a great selection of local doctors specializing in conventional medicine, as well as specialty options like Acton Chinese Medicine and Medical Aesthetics of New England, a medical spa and laser center offering a range of services from skin treatments to liposuction. Sudbury is also home to many small fitness and yoga studios, including A Calm Spirit, YogaZeng or Daring Dog Yoga (next door in Boxborough). Acton also provides numerous martial arts options, including classes offered through the Parks and Recreation Department and specialty dojos with everything from Tai Chi, Kung Fu and Chi Kung to Brazilian Ju Jitsu. There are even martial arts tumbling and martial arts movie making classes! !